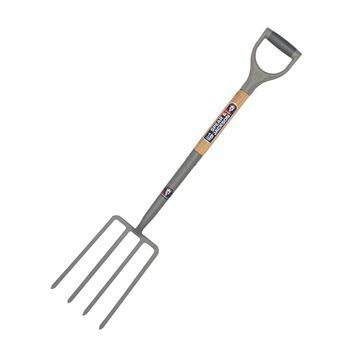 Digging fork with a solid, forged carbon steel head and extra long socket for strength. The hammer finish epoxy coated head gives improved resistance to rust, scratches, humidity and alkalines in the soil, while the weather proofed hardwood shaft gives greater durability. Floor-standing or wall-mounted, metal and plastic construction with soft-grip handle and manual layering system. The ½" fittings and accessories are included. 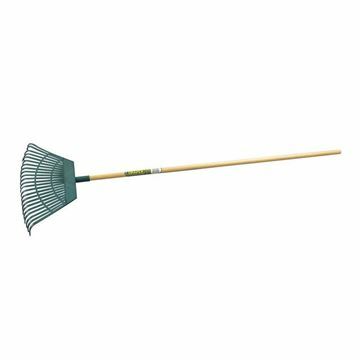 23 tooth rake with head securely fixed to varnished natural wood handle. 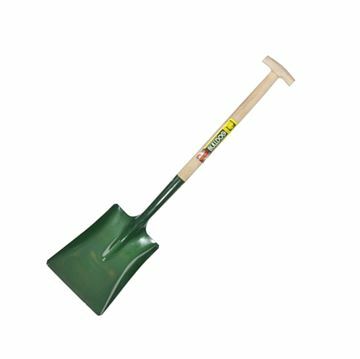 A square mouth, all metal shovel with size 2 blade and MYD handle. 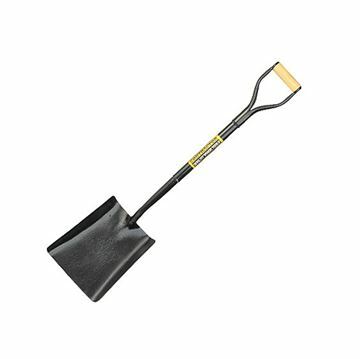 A square mouth open socket shovel with steel blade (size 2). It is light in weight, which makes it ideal for shovelling sand and aggregates. Its shaft is made from un-lacquered American and German FSC ash wood and it has a T style handle. A fantastic value 13mm (1/2 ) hose in 100 metre length for use both domestically and commercially. 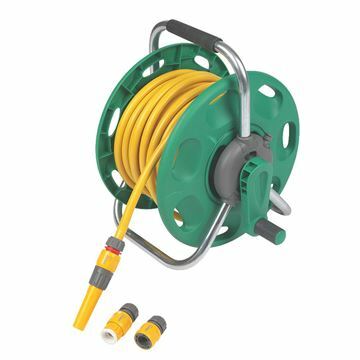 Its multi-layered design and strong bonding of materials ensure an incredibly robust and tough hose that can operate underwater pressures of up to 10 bar. 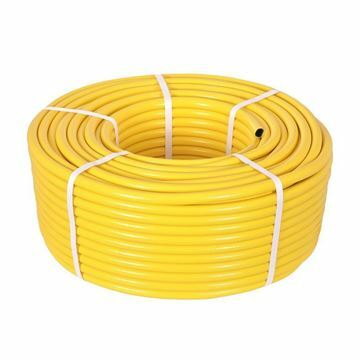 Its highly visible yellow colour and toughness make this the perfect hose for use in professional watering environments.